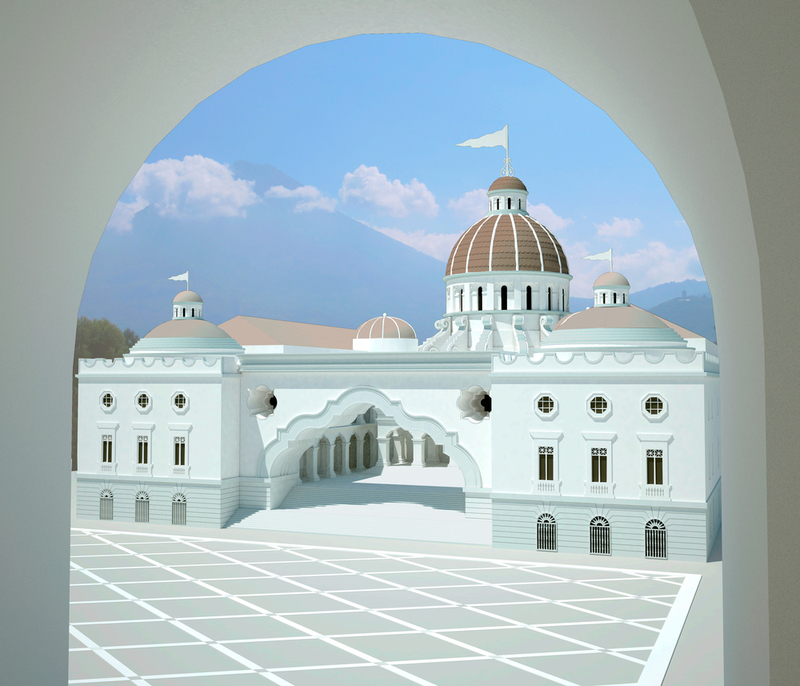 This project is a design for a new Capitol Plaza situated in Leon Krier’s proposed master plan for downtown Guatemala City. For the design of the new Capitol Plaza, I studied both Krier’s theories in New Urbanism, as well as traditional Guatemalan architecture. 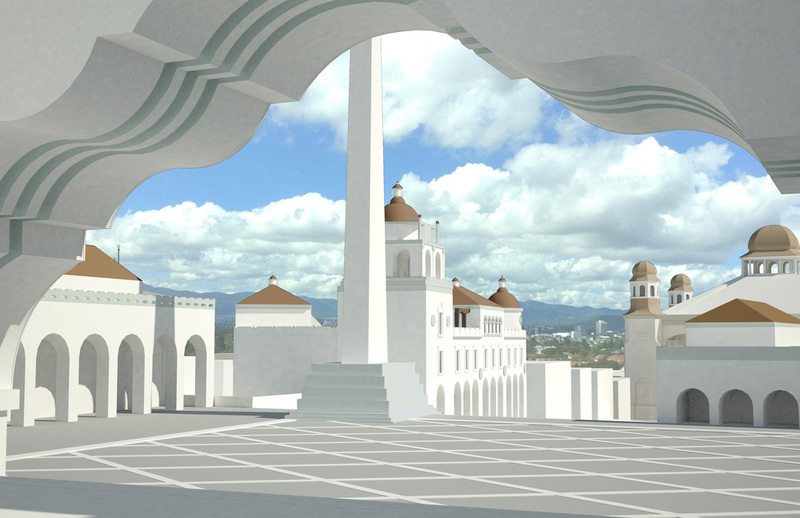 My newly designed Capitol Plaza relies on the language of massive walls, over-scaled elements, and a confluence of Spanish Baroque, Mudejar, and Mayan influences. 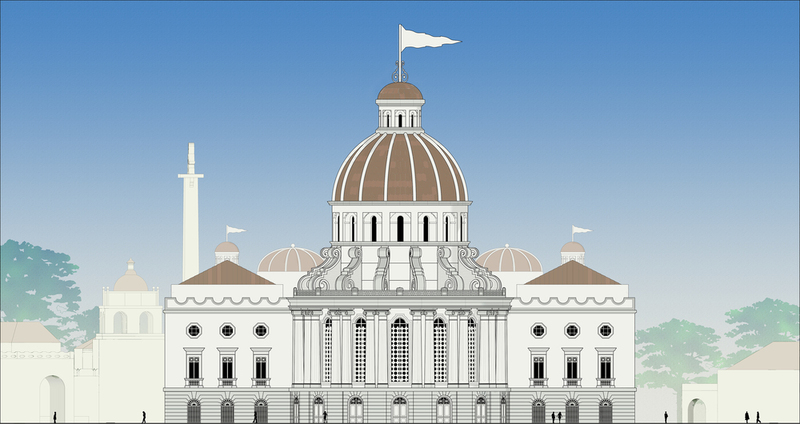 The design also incorporates symbolic elements of the local culture that include twenty-two columns supporting the building’s dome representing the twenty-two states, as well as a monument of the great Mayan King K’utz Chman. The result is an architecture of syncretism that truly reflects both the region and its people. My Capitol Plaza marries history, culture, various styles, and local building conditions in order to create a city center that complements Krier’s master plan and, ultimately, conjures national pride.